Come join us in the mud! 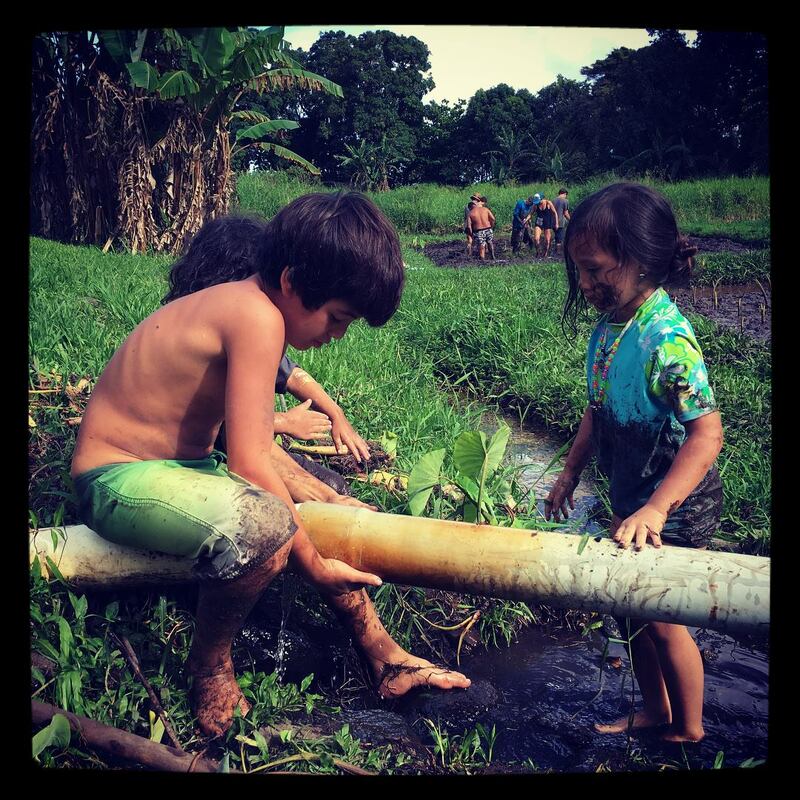 Work together in the traditional wetland lo’i kalo (taro patches) of Kapahu Living Farm. Kapahu is about half a mile up the dirt road mauka just on the Hana side of Oheo bridge. If you don’t have a car with good clearance, you can park at the bottom of the Kapahu Road a little before 10:00 for a ride up to the farm. for their generous support in the development of this website.